Are you looking for cheap stock video footage to supplement your creative projects? There are a number of stock media sites that offer high quality video clips in the market. Most of them you are already familiar with, such as Shutterstock and iStock. You just have to find one that suits your creative needs and budget. You can browse video clips by keyword or category. 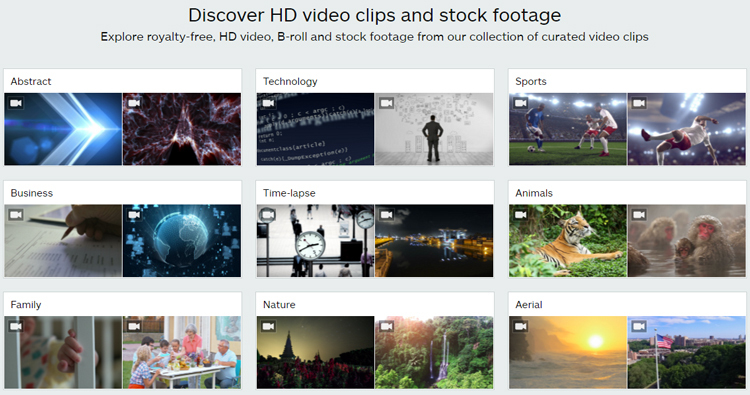 Currently, here are 5 categories of stock videos that are in high demand. Establishing shots. At the present, this is the most sought-after category in the market. Many creative professionals are looking for cheap stock video footage that they can incorporate at the beginning of a scene. Footages that establish shots are designed to show the audience where the action is taking place. The most common example is an exterior shot of a building shown before cutting to people inside. Aerial footage. Another in demand cheap stock video footage is aerial footage. A few years ago, it would take a helicopter or an airplane to shoot this type of video clips – making it really expensive. Fortunately, quadcopters and octocopters are now available in the market, allowing videographers to save thousands of dollars while consistently shooting aerial footages. Authentic model released clips. Many businesspersons are looking for high quality model released cheap stock video footage for their company websites. They want authentic and diverse footages that look realistic to convince potential customers that many people are confident about their products. Green screen. Another popular cheap stock video footage is green screen. You will be surprises of the number of clients looking for this type of video clip. Green screen can be used in all types of productions. Whether you are using local weather forecasts or major motion pictures, you can replace a green screen with whatever image you want. Shot in front of a pure green background, it is used to place video within a piece of technology like mobile devices. Model released sports clips. Since model released sports clips are harder to come by, they are specifically in great demand. Cheap stock video footage of athletes and fans are commonly used in television shows, films and advertisement. They are commonly used as playback footage as seen on television when actors are watching sports at a bar or in their homes. Oftentimes, you can find cheap stock video footage in stock media sites that sell cheap stock photos as well. Shutterstock and iStock have a huge collection of video clips that will help you find what you are looking for to supplement your creative projects. Above are the most common categories of footages that many creative professionals use with their projects. Surely, you will find them in some of the top media sites in the Internet. Have You Closed your Dollar Photo Club Account? © 2019 South Tyrol Footage. All rights reserved.